..very cute. 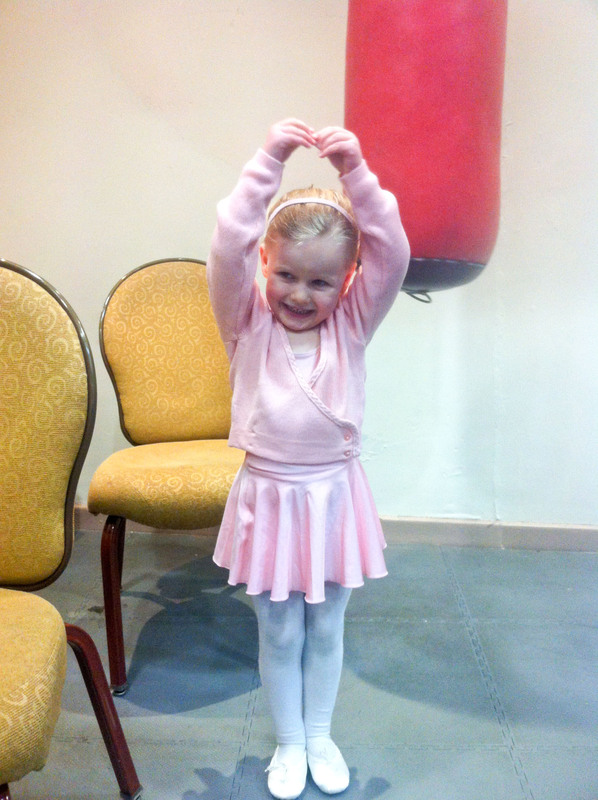 Viv was so proud in her ballet outfit. Dav and I trudged around the shops trying to find her the right kit a few nights ago, and on Saturday morning she woke bright and early (half 6… hmm) and dressed herself ready to go. Dav and I watched from the sidelines as the little ones ran around, twirled and pointed their toes. V had remembered some of the moves from last week, and I think she’s more like me.. not very graceful to say the least.. but doing the dolly dance mixed with being pretty clumsy turned out to be a very cute combination.